Play Bocce on Tuesdays in the Washington Ave neighborhood at NettBar. Games start at 7:00pm and continue throughout the evening. Stick around to make tons of new friends at the bar after your game to keep the party rolling! 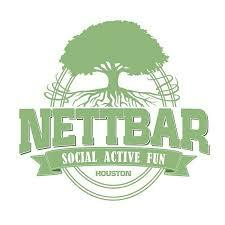 Earn a ticket for the weekly raffle for every beer you buy at NettBar on league nights. This league will be governed by Bar Bocce - Permanent court rules. Games will be played to 16 points or 1 hour, whichever comes first. See our rules page for more details. Drink beer, get rewarded! Every time you order an adult beverage at NettBar you get a ticket from a black shirt. Write your team name on your tickets, turn them in to the ticket bucket and at the end of the night, the tickets will be used towards the nightly raffle at the bar. Check out this Bocce league 'Washington Ave Tuesdays' with Major League Bocce Houston !